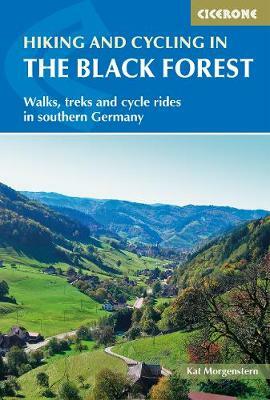 15 day walks, 3 multi-stage treks and 5 cycle routes are described covering the north, central and southern areas of Germany's Black Forest. The walks and cycle routes are evenly distributed across all three areas and comprise both long distance routes and day walks, although each stage of every long distance walk can also be done as individual day tour. The chosen routes include the main Black Forest destinations, such as Feldberg, Belchen Schauinsland, Hornisgrinde and Mummelsee, as well as Allerheiligen Abbey and waterfalls and the source of the Danube, to name but a few. Two of the three long distance routes are certified quality trails: Schluchtensteig (120km), which means gorge trail traverses the Wutachschlucht, one of the last untamed river systems in Germany, and Zweit lersteig (108km) a highly diverse circular route which leads through some of the most beautiful and contrasting parts of the Central Black Forest. Seensteig (71km) partially follows the central ridge of the Black Forest mountain range, offering unsurpassed views along the way. The cycle routes (4 day rides, and the 242km Southern Black Forest Cycle Route) are mostly easy and scenic, and utilise the extensive and well-maintained bicycle trail system that criss-crosses the entire region. The walks and rides are described in detail and basic maps are provided for orientation.